Fast becoming the hub of business in the Hills District, Bella Vista is a charming suburb with great housing options and commercial establishments that support a modern lifestyle. All thanks to the entry of Norwest Business Park and the large corporations that have taken root in this Sydney suburb, Bella Vista is now a high demand market in terms of real estate. If you want to further increase the value of your property here, one idea is to increase the curb appeal of your house. How to do it? Add a deck or a patio, or a sunroom. Building patios, sunrooms, or decks is not a walk in the park though. It requires careful planning and perfect execution. At Urban Exteriors, we have 40 years of experience in creating stunning outdoor living spaces. We have handled both large and small projects all over Sydney. So if you need professionals to do the job, we’re just right here. What better way to fuse your house with the beautiful outdoors than with adding a patio, pergola, or deck? Every detail in the project is important so our design consultants collaborate with you closely. We walk you through the whole process--from the design stage to council approvals to the building stage right through to project completion. If you want to enjoy the landscape of this beautiful suburb, do it by adding a deck to your house. With an open deck, you open your house to the stunning views of Bella Vista. 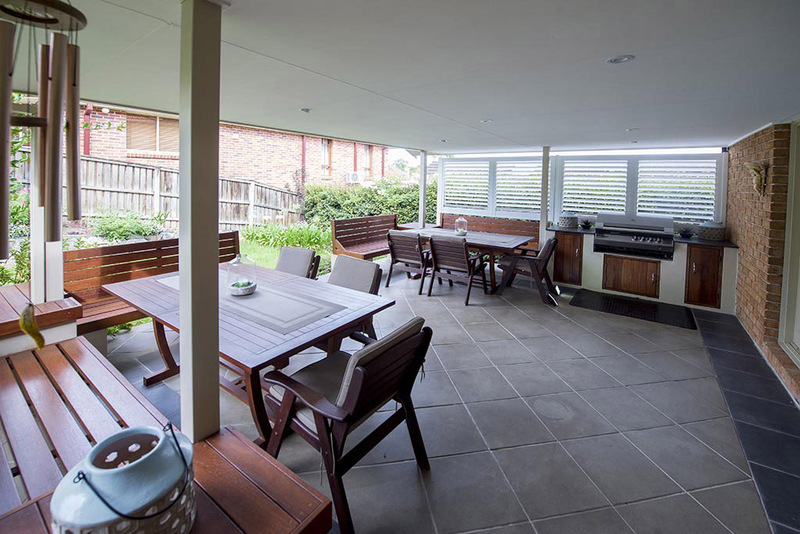 We have a range of materials you could choose from--hardwood, HardieDeck, or aluminium. Whichever you choose, you are guaranteed to have a lovely deck that is durable too. There are lots of beautiful houses in the area. Wanna make a statement? Add a sunroom to your house. Not only will it increase your living space, it will turn heads too. There’s that innate charm in sunrooms that onlookers will definitely notice. From the inside, you’ll appreciate the views of the neighbourhood too. Urban Exteriors is known for its beautiful sunroom designs so make sure you work with our team. Ready to make your house stand out? Give us a call today and let’s get it started.